At Moorpark Center for Dentistry, we understand that most people don’t relish the idea of spending years in braces. Fortunately, with the advancements in modern dentistry and orthodontics, you won’t have to! We are proud to offer our patients the opportunity to take advantage of state-of-the-art technology that speeds up tooth movement. In fact, accelerated orthodontics in Moorpark, CA, can dramatically reduce your treatment time by up to 50% over traditional methods. Our safe, gentle acceleration techniques can also reduce some of the discomfort associated with tooth movement. Moorpark Center for Dentistry is pleased to offer both Acceledent® and Propel VPro5™ at our 5-star-rated office. Keep reading to learn more about our accelerated orthodontic treatment options to find out if they are right for your specific needs. This FDA-approved device is clinically proven to move teeth faster – in the comfort of your own home or office! 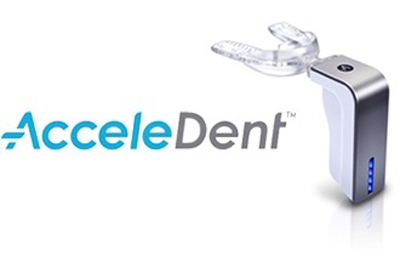 AcceleDent uses gentle micropulse technology that works with your braces or aligners to speed up your treatment time. By using AcceleDent for only 15-20 minutes each day, you can advance your own tooth movement with no interruption to your daily life. AcceleDent is also easy to use. Simply bite down on the mouthpiece, turn on the activator, and allow the device to work its magic for about 20 minutes – and you’re done! Wondering if AcceleDent will work for you? While not every patient is a good candidate for this advanced technology, you can learn more about your options by contacting our office today. Propel is another revolutionary, FDA-approved system that works with your own biology to stimulate the bones surrounding your teeth. While the process varies depending on your unique needs, most patients can complete their orthodontic treatment in under one year. Propel is an appropriate treatment option for the majority of interested patients, and can be used along with traditional braces or Invisalign®. Imagine – you’ll be flashing your new smile in no time at all! Treatment with Propel is noninvasive and completed right here in our comfortable, patient-centric office. The advantages of Propel over AcceleDent are that you usually only need one in-office treatment and no recovery time is required, so you can return to your regular daily activities right away. In addition, Propel can more easily target a specific problem area or stubborn tooth, to help shape your new smile as efficiently as possible. Patients often prefer the convenience of a one-time Propel treatment over the everyday use of the AcceleDent method. 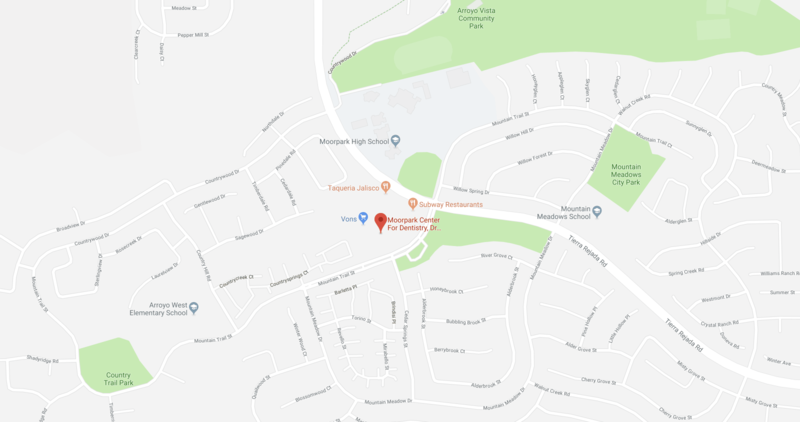 To learn more about our accelerated orthodontic treatment options and 5-star-rated dental care from Moorpark Center for Dentistry, contact our friendly office today! Simply call 805.243.3999 or click here to schedule your complimentary Moorpark Center for Dentistry New Patient Exam. Your new patient appointment includes a review of your dental and medical history forms, digital x-rays, and an in-depth consultation – for FREE! Plus, you can add an oral cancer screening and teeth cleaning for just $97! Call today – we can’t wait to help you achieve your perfect smile in less time!